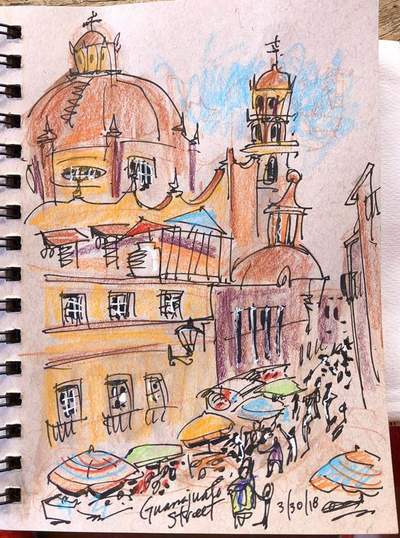 Have you dreamt of creating a travel sketch journal of your travels, but are not sure where to start? 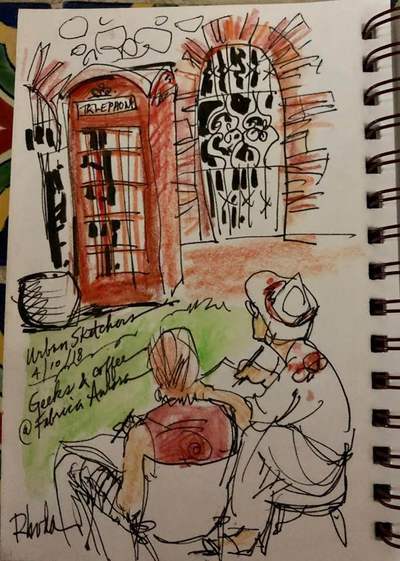 Are you a sketcher and want to add more life and energy to your sketches? Do you prefer to travel in small groups, allowing for a more intimate experience of your travel destination? 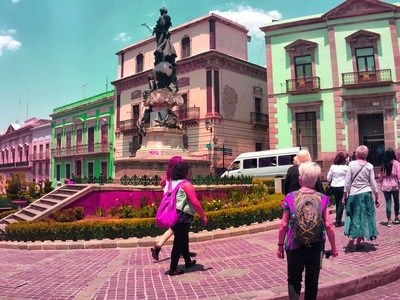 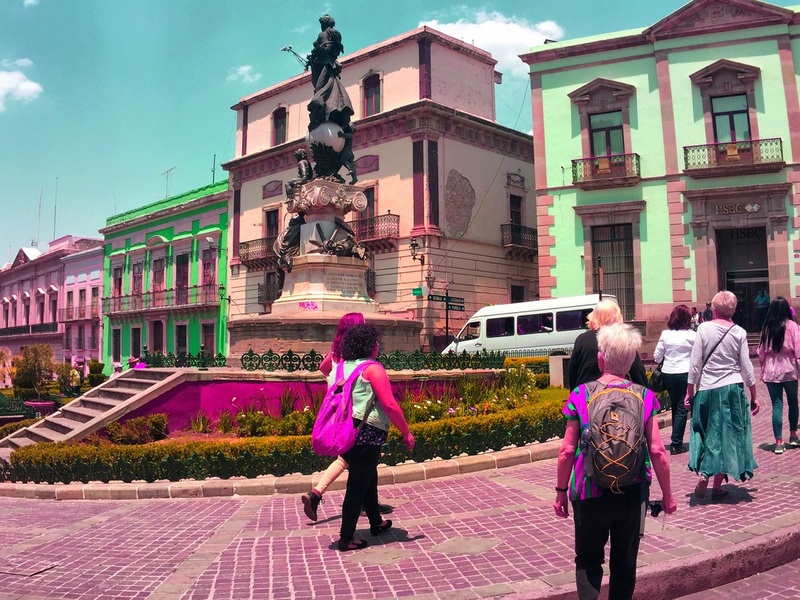 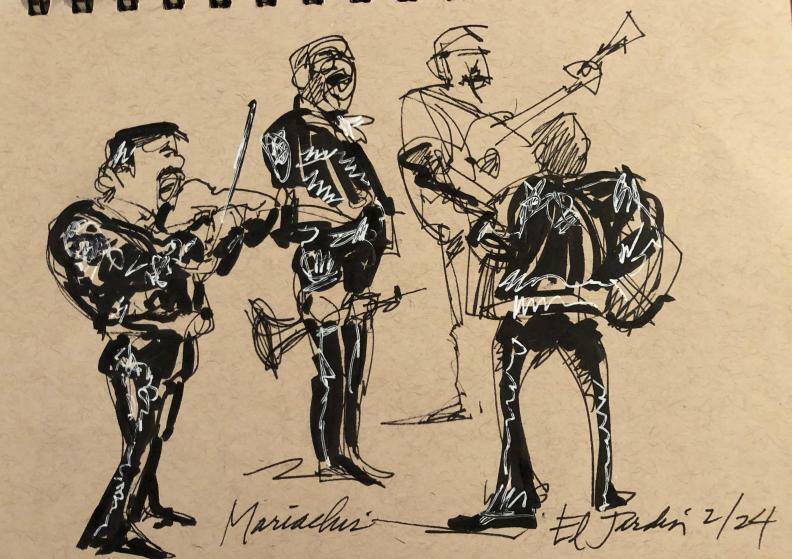 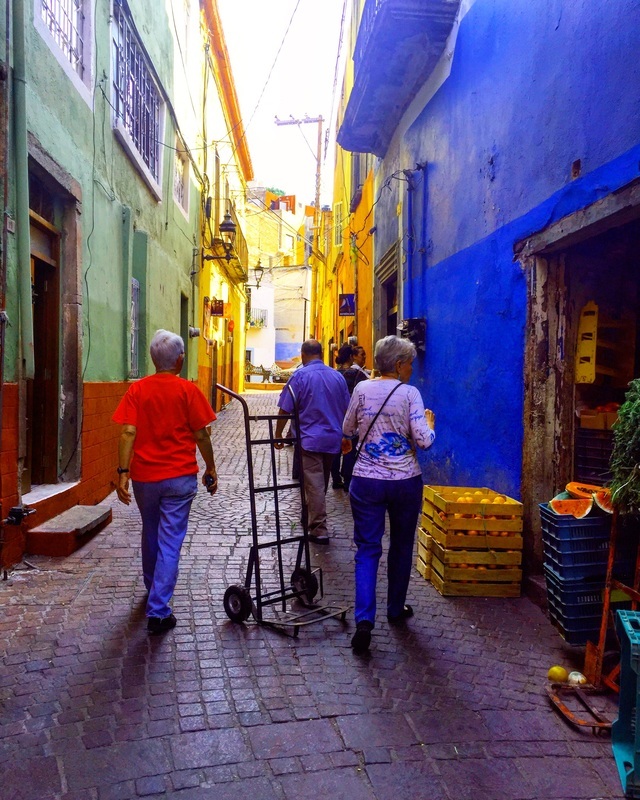 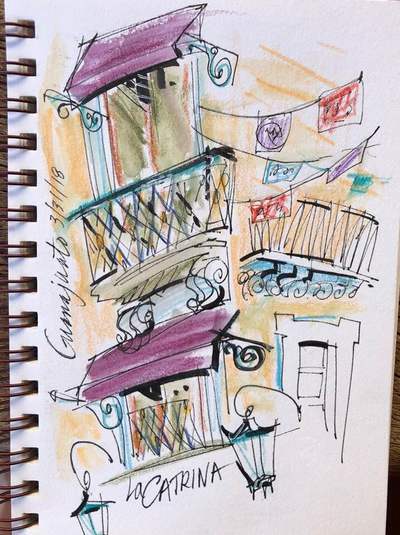 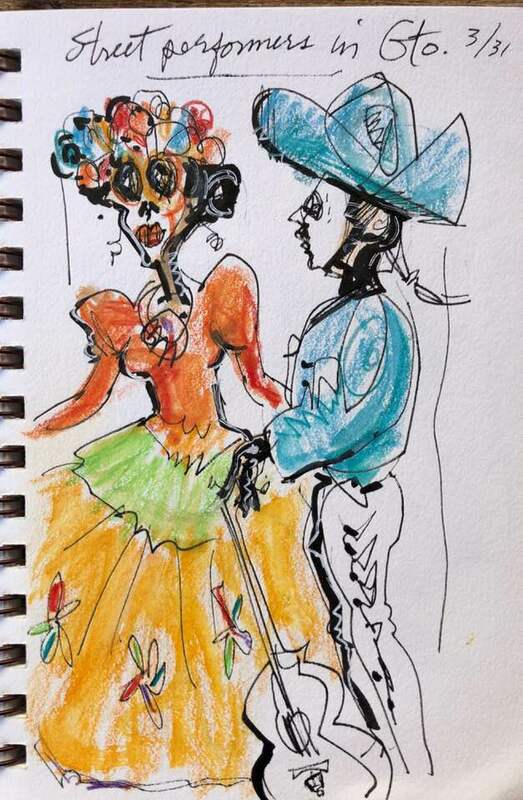 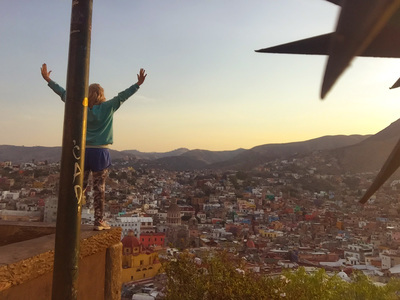 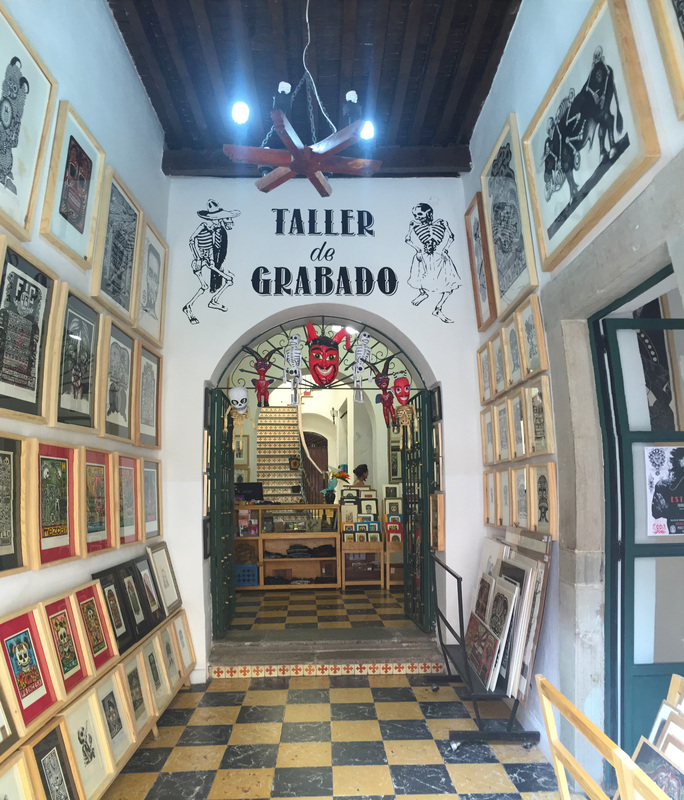 ​Say no more and pack your sketch bag for colorful Guanajuato in Central Mexico, because Rhoda Draws will show you how it's done, while enjoying the sights and culture of the energetically vibrant colonial Mexican city of Guanajuato. 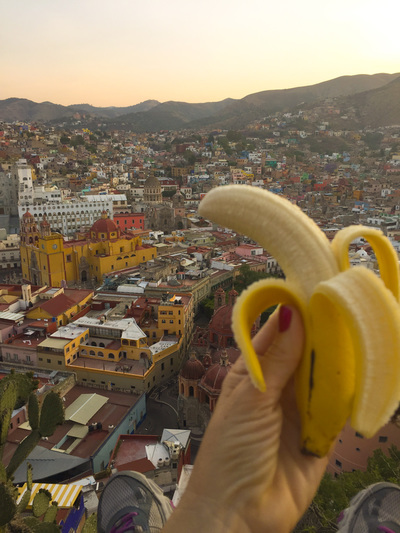 Learn how to use “down time” as an advantage in cafes, airports, etc. 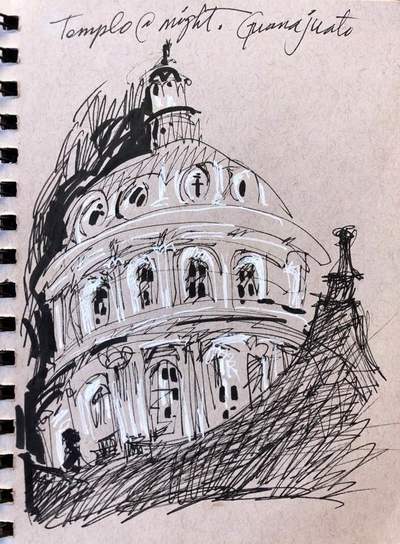 We'll arrive Thursday at noon and after getting settled in our rooms, we'll meet for lunch, introductions, workshop guidelines, and then Rhoda will kick the weekend off with her first sketching lesson. 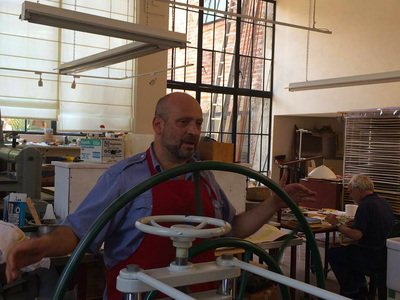 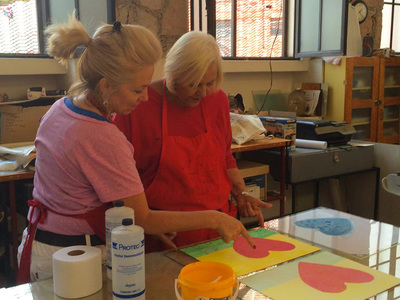 The workshop is divided among three topics: THINGS, PLACES and PEOPLE. Each evening we’ll meet for happy hour cocktails and light appetizers on the glorious roof-top patio of Alma del Sol, where Rhoda will review sketches and work one-on-one with each participant.. Dinner will follow at a local restaurant. 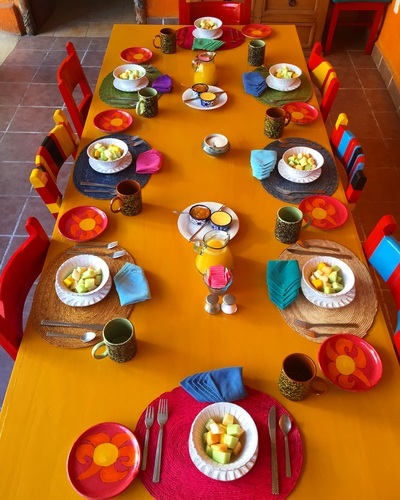 Saturday morning will start with a cheery rooftop breakfast, followed by the next lesson and street sketching. 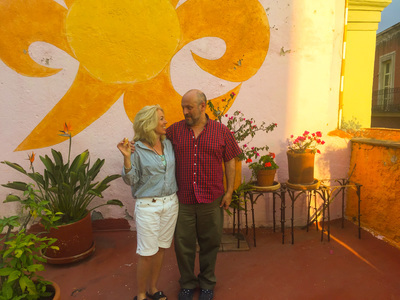 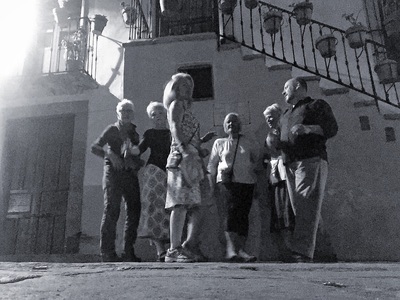 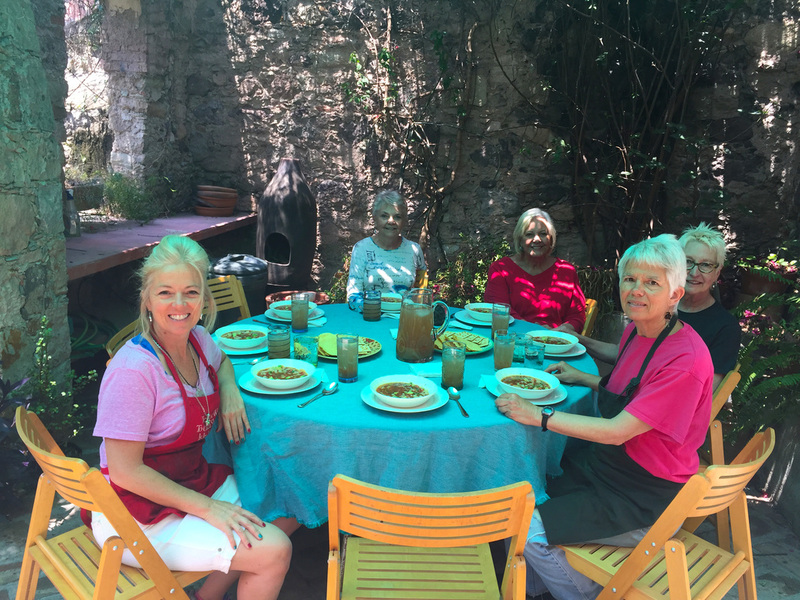 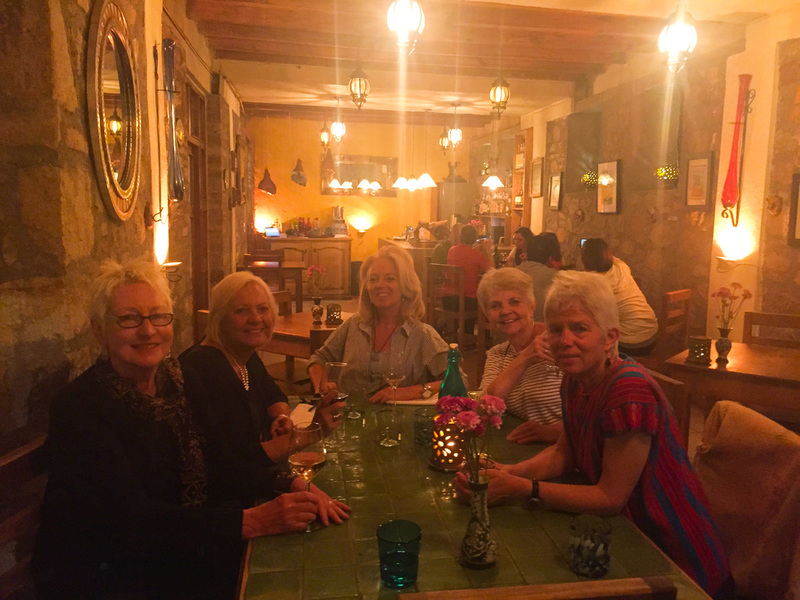 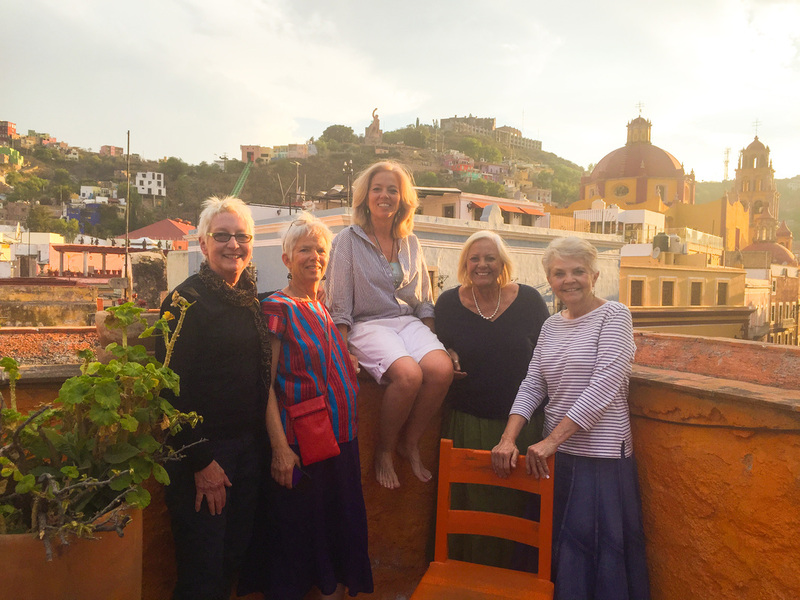 Saturday night will be another fun, local dinner with more time for strolling the winding streets, and Sunday morning we'll finish our sketch projects and discuss what we've learned, before departing Guanajuato. 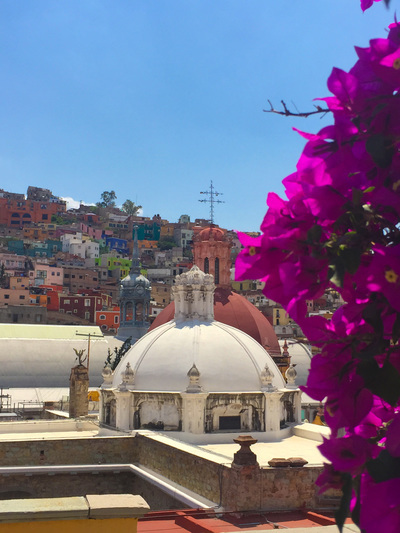 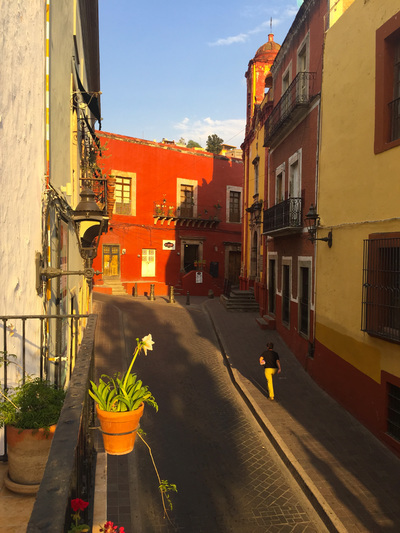 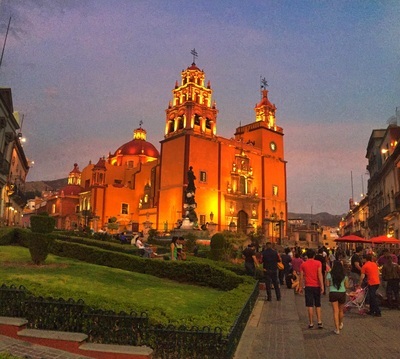 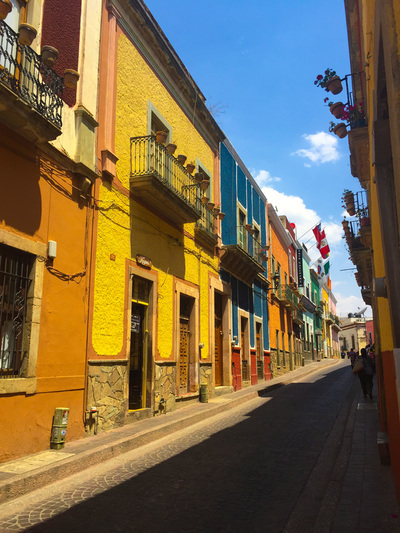 Guanajuato is only 75 minutes away from San Miguel de Allende, but its University and musical backbone give it a much different feel, some say es muy Europeo pero cuesta menos! 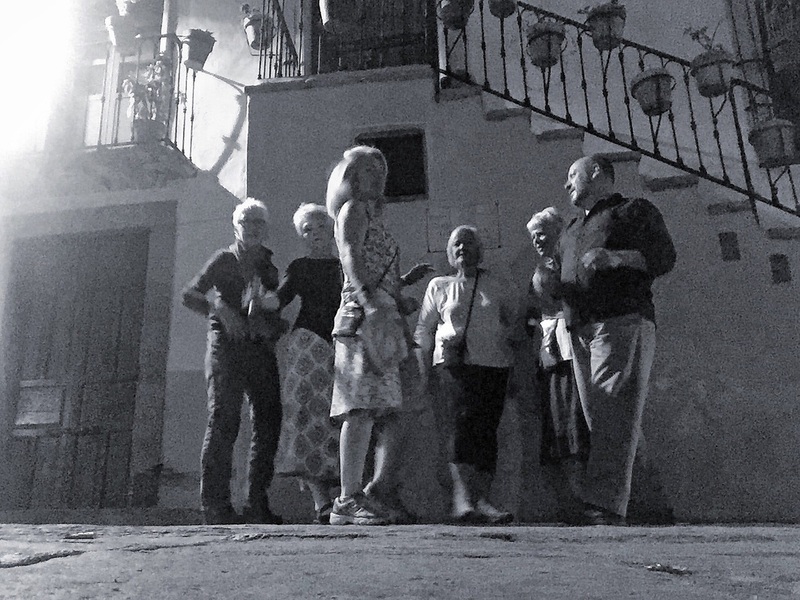 (very European but costs less!) 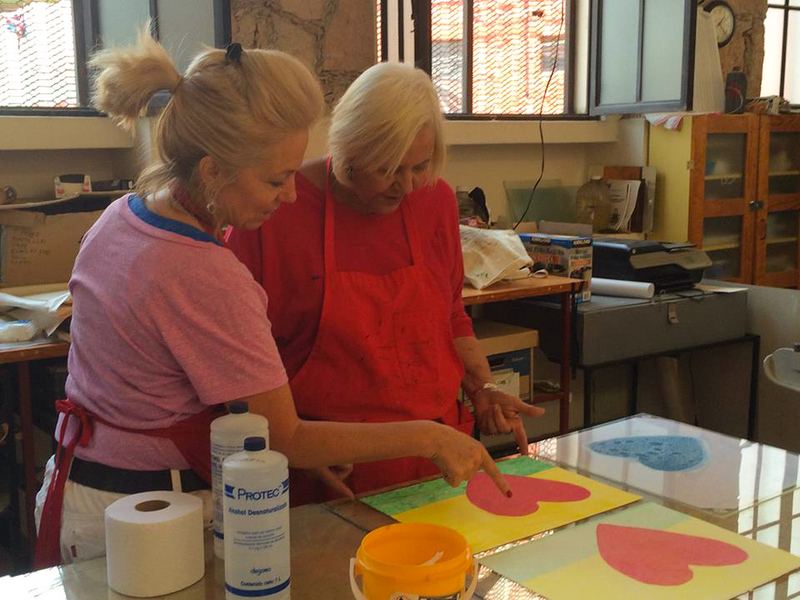 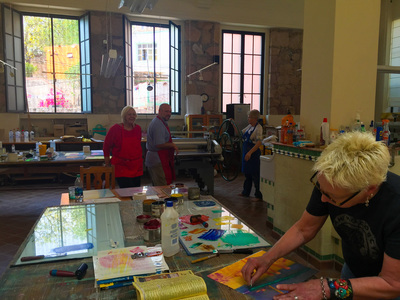 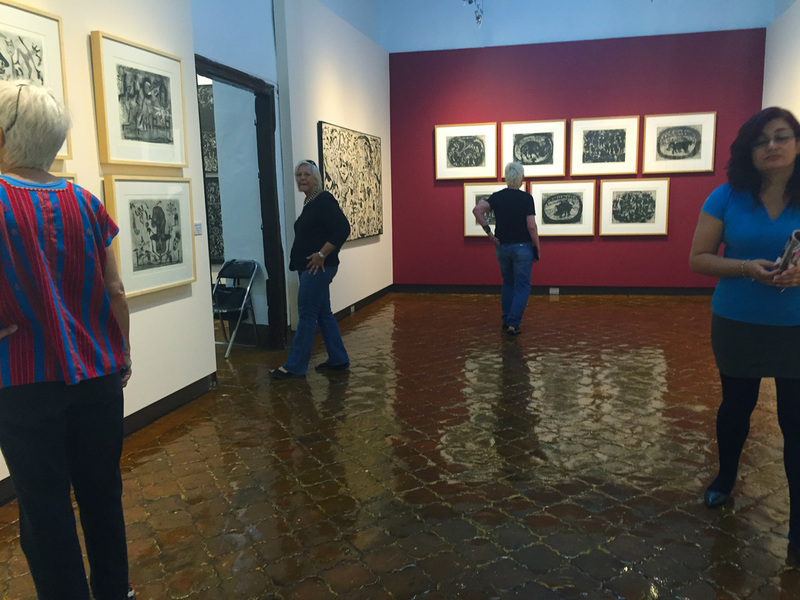 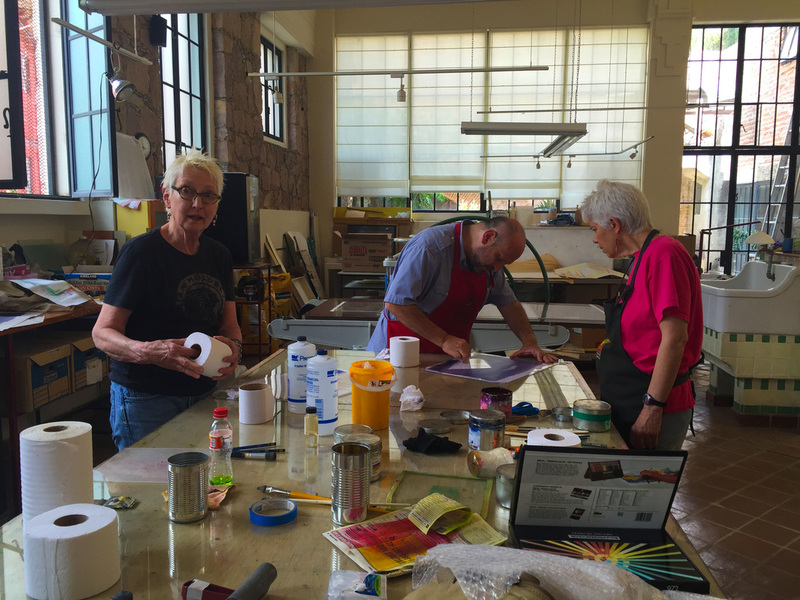 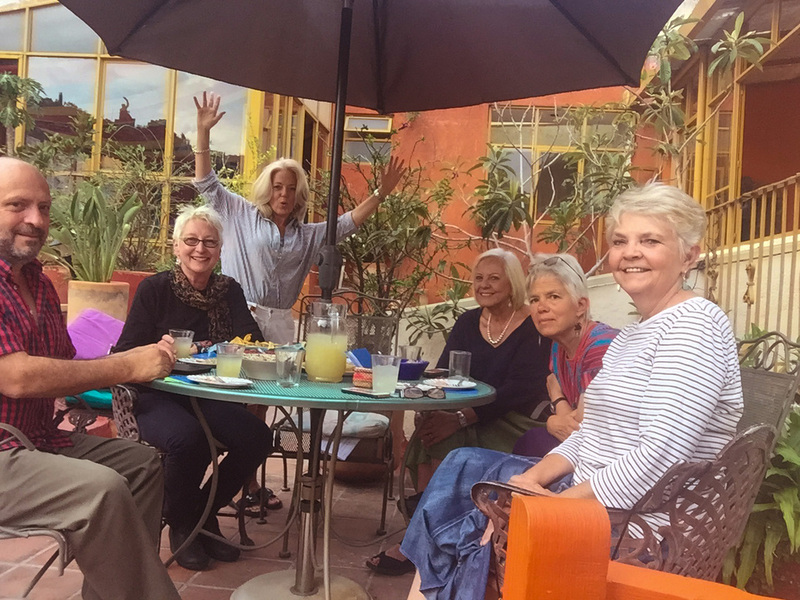 Art Leap Adventures and Rhoda Draws are based in San Miguel de Allende, Guanajuato, Mexico, but we welcome artists from around the globe to join us. English will be spoken and we can assist you with your travel plans if you're coming from afar. 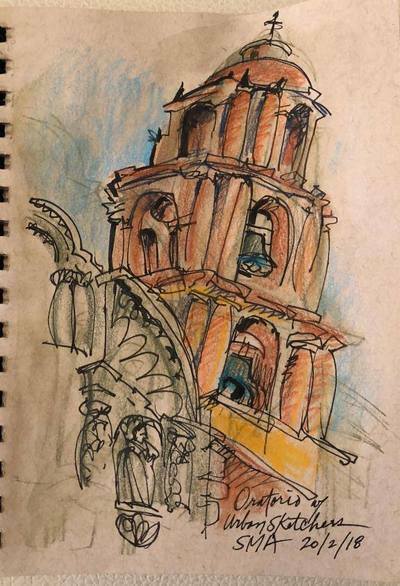 ​Don't miss this wonderful opportunity to see and sketch Guanajuato, while learning valuable techniques from caricature artist and urban sketcher Rhoda Draws. 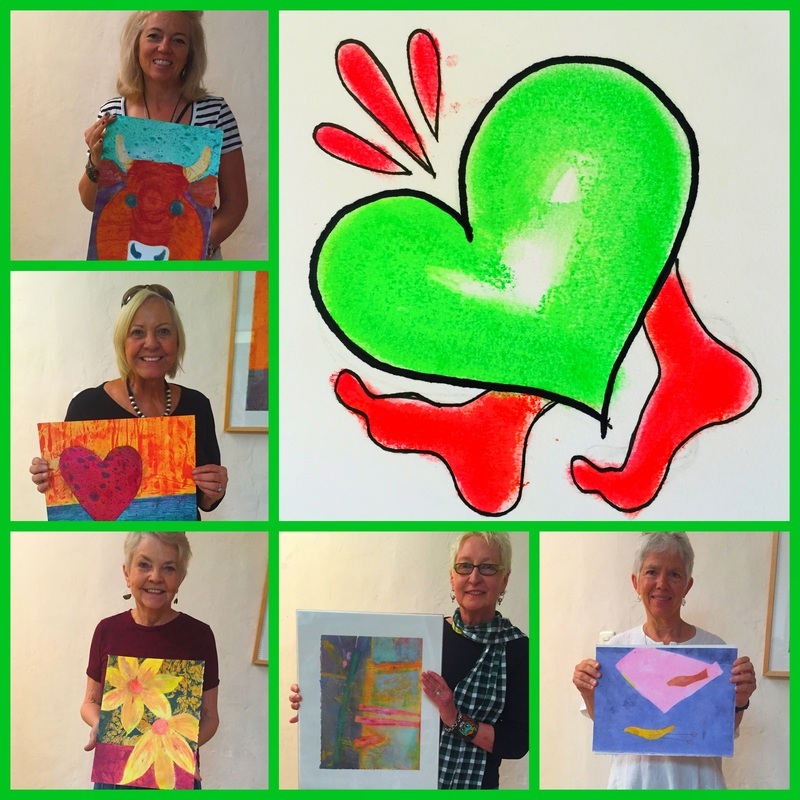 Rhoda draws (and paints) in a variety of styles, mediums and venues. 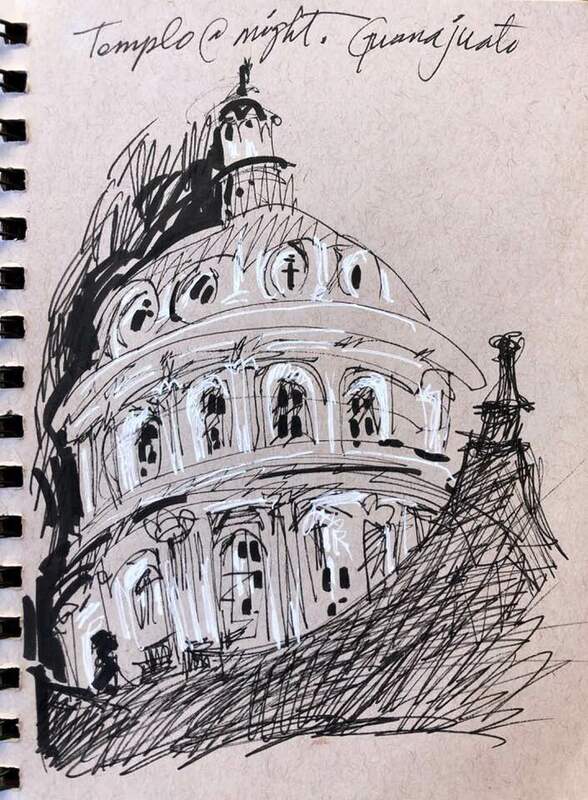 In all these areas, she works very fast, possibly to make up for lost time: entering high school she was told by an “advisor” that she was “too smart to be an artist.” Rhoda spent the next 15 years trying to do what smart people do, and messing up. So, around age 30 she returned to her first love— drawing and painting. 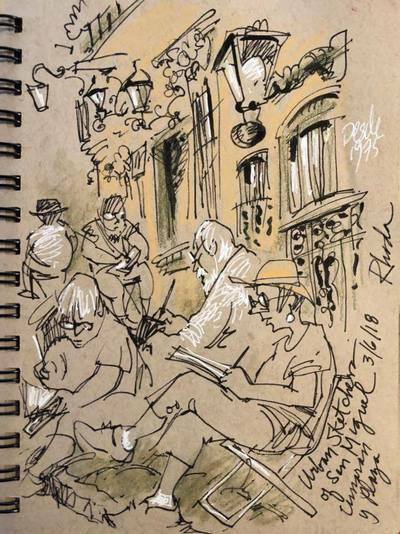 Rhoda fills sketchbooks when she travels around the country and abroad. 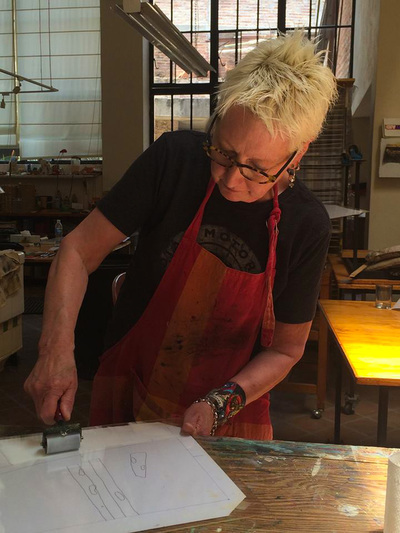 She teaches workshops to share her techniques for “Sketching Fast & Loose,” showing students how to draw what they see quickly with a few basic art supplies. 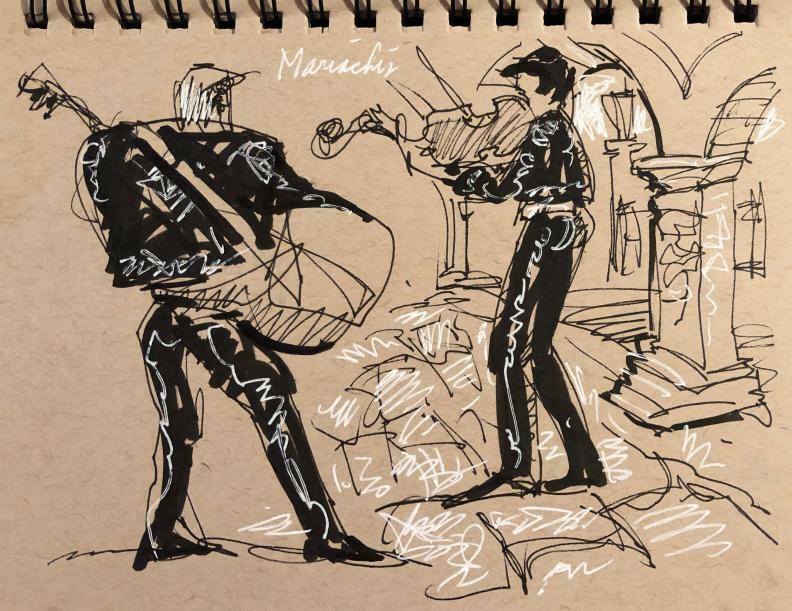 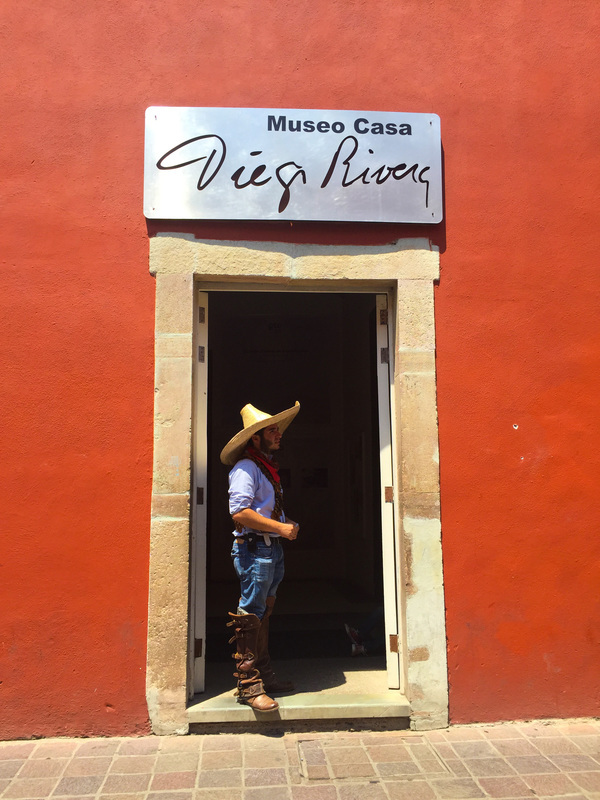 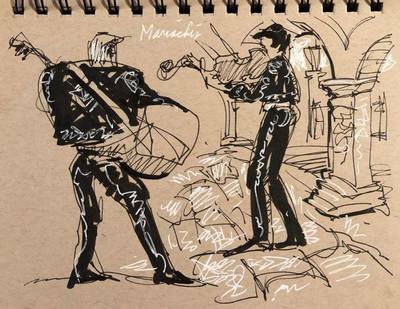 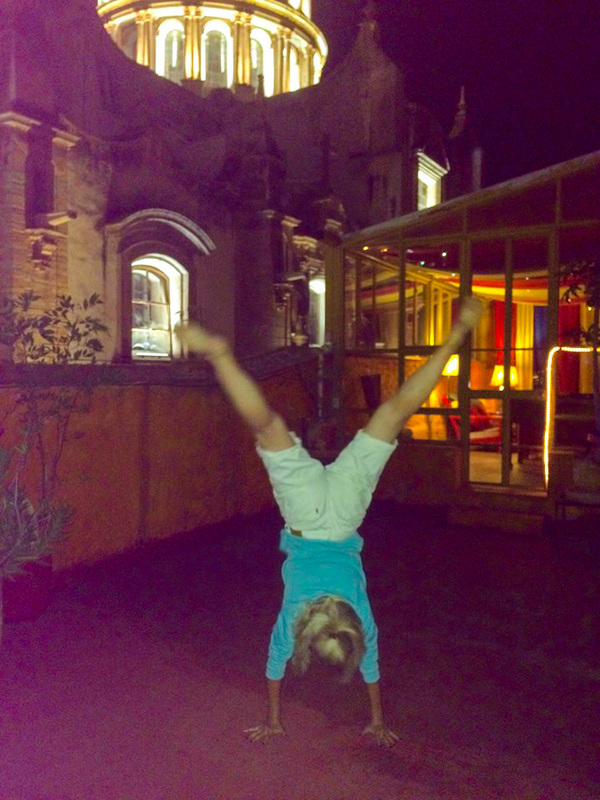 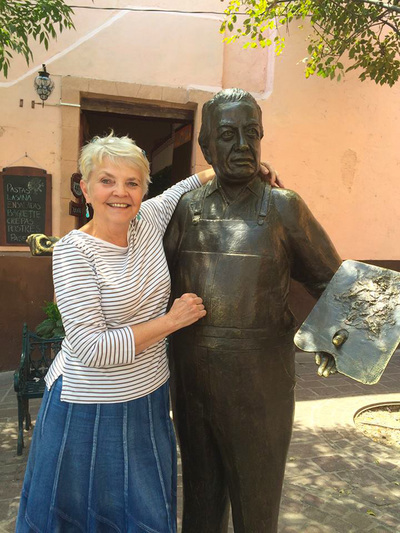 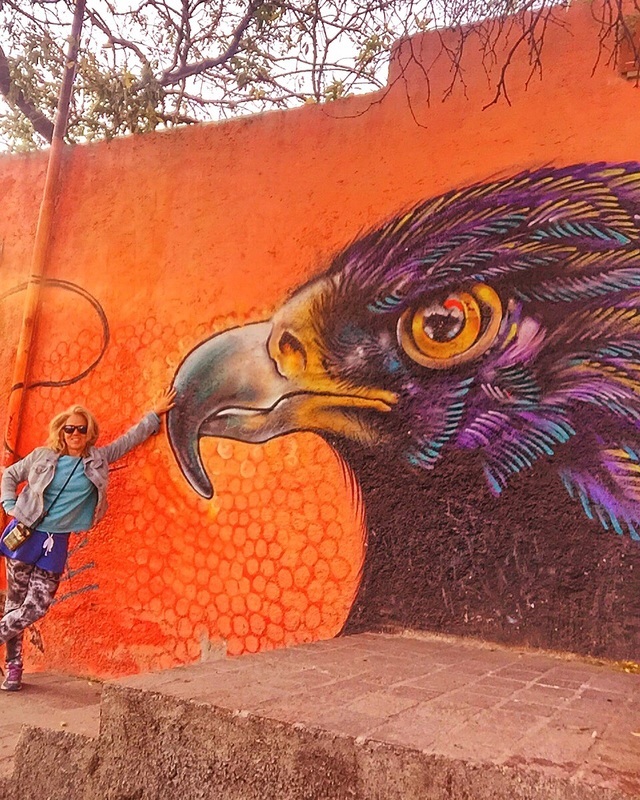 ​Rhoda moved to San Miguel de Allende in early 2018 and has been seen sketching all over town. 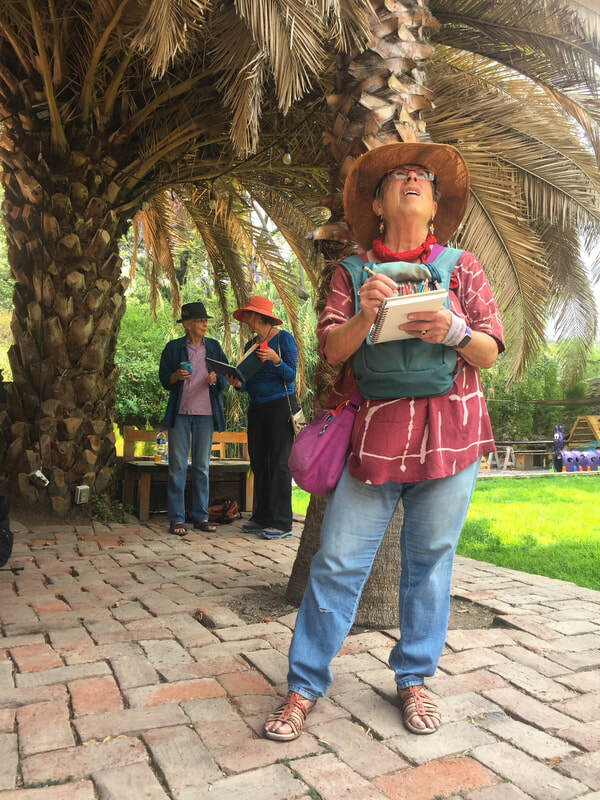 For more information on Rhoda, please see her website.